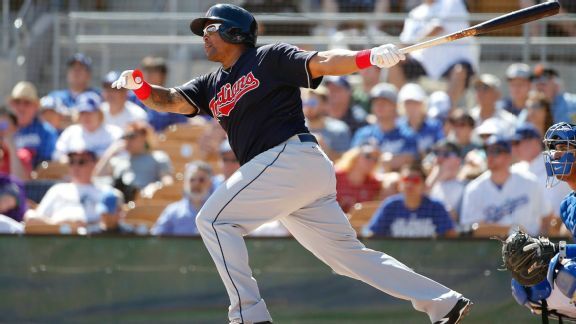 The Mets take on the Indians and will see a trio of familiar faces in Marlon Byrd, Juan Uribe and Collin Cowgill. 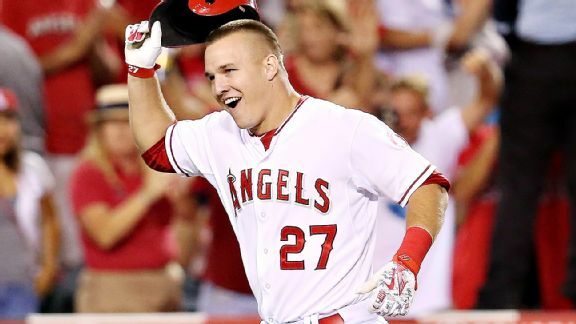 Has Mike Trout already done enough to be a Hall of Famer? At 24, Mike Trout has already logged four seasons where he was arguably the game's best. 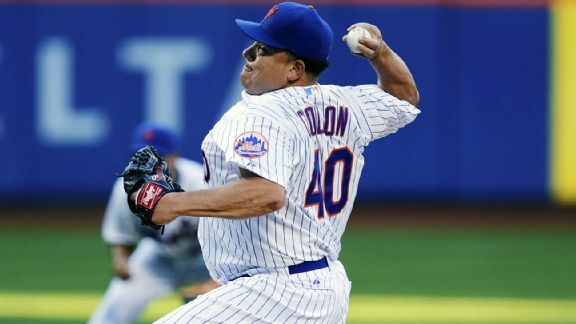 Would that stretch be enough get him into the Hall? Rapid Reaction from the Boston Red Sox's 8-7 victory over the Tampa Bay Rays, allowing the Red Sox to jump out of last for the first time since June. 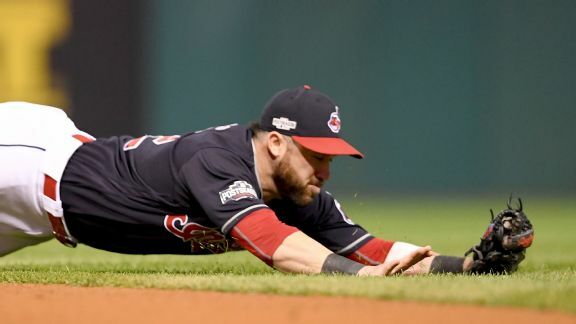 A night after winning perhaps the biggest game of their season, the New York Yankees gave away a game equally as critical to their division hopes. The New York Yankees remain three games back of the Toronto Blue Jays in the AL East, now with just 18 games left to play. 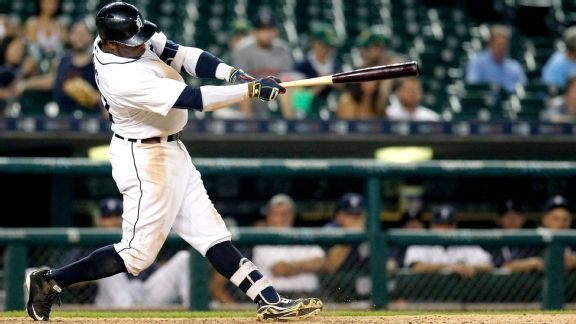 The Detroit Tigers got a big night from Rajai Davis and used 10 pitchers to get an extra-innings win over the Rays. Despite Kevin Gausman's nightmare on Eutaw Street, the O's were able to come back and do something they'd only done once in the last two weeks: win. 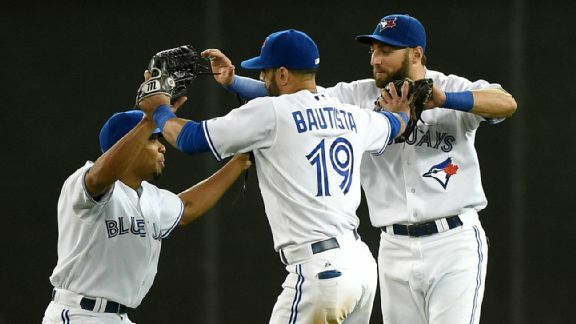 The Toronto Blue Jays, winners of 13 of their past 14 games, moved into first place in the AL East and atop our nightly Top 5. Here are the lineups for Sunday's 1:10 p.m. ET rubber game between the Mets and Rays at Tropicana Field.